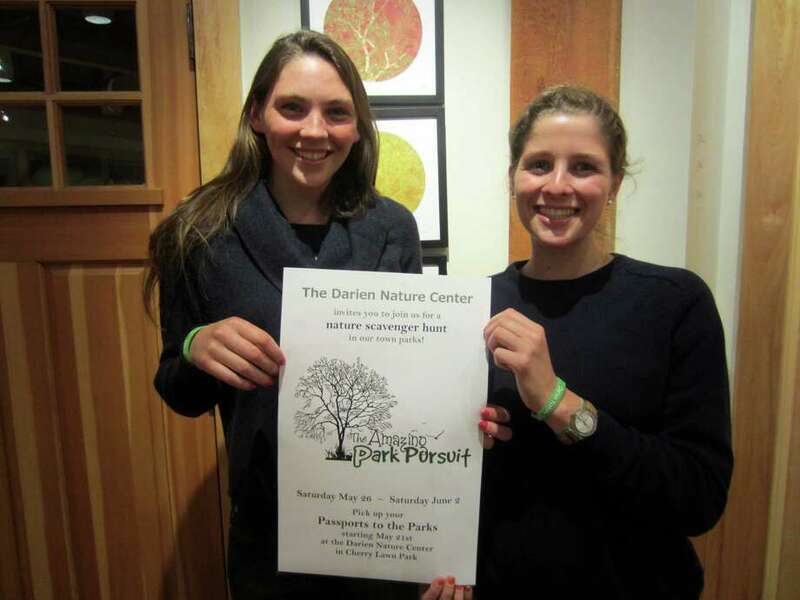 The Darien Nature Center and the National Honor Society students at Darien High School invite all families to join in the second annual Amazing Park Pursuit. This year's park pursuit will commence on May 21 and run through June 3. It will include Selleck's Woods, Woodland Park, Cherry Lawn Park and Weed Beach. Last year, approximately 100 families picked up passports to the parks. A scavenger hunt of sorts, the Amazing Park Pursuit incorporates town parks, puzzles and clues, maps, puzzles, physical challenges, competition, families, discovery and fun. All of the clues are created by members of the National Honor Society. Families will register at the Darien Nature Center and receive a booklet titled "Passport to the Parks." Over a two week period, families will visit the participating town parks. The Passport to the Parks will give clues, distinctive to each park, leading the participants through the nature preserves and ultimately to a hidden box containing a stamp. When they find the box they can stamp their passport book, showing proof of their having reached their destination. The stamp will then be returned to the box for the next group. This year's hunt was been spearheaded by National Honor Society and Darien Nature Center student board members Nina Preston and Galen Rohn. All of the clues are nature related, as the intent of the project is not only to get families outdoors in Darien's parks, but to teach them something along the way. For more information, contact the Nature Center at 203-655-7459 or visit www.dariennaturecenter.org.